Enjoy soothing stone foot therapy without a trip to the spa. Use these all-natural Himalayan salt detox blocks for feet to help encourage relaxation, detoxification and healing. As it emits negative ions to help naturally purify the air, Himalayan salt is believed by many to help increase mood- and energy-boosting serotonin. 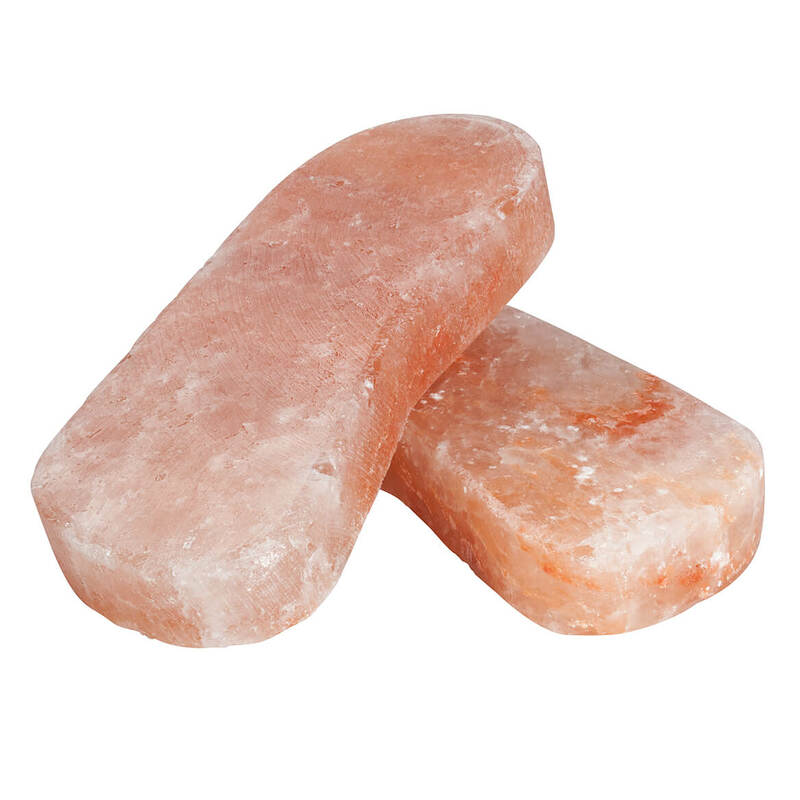 Simply heat these Himalayan salt blocks in oven and place bare feet directly on top to help draw out toxins and ease discomfort. Naturally antimicrobial, antibacterial salt blocks also can be used at room temperature or chilled to cool and soothe inflammation. Includes 2 pink Himalayan salt blocks, 2 cotton bags, and a cotton drawstring storage bag. Each block is approx. 11” long x 4” wide x 1 1/4” high; due to nature of product, rock size may vary slightly. Use on towel to protect floor from scratches. Toe straightener is an important step toward proper alignment, stride and posture. Comfortable, elasticized toe band gently supports and eases toes into proper position to help alleviate crooked toes, hammer toes and other conditions. Minimalist design fits discreetly under socks and can be worn with most types of shoes and slippers for all-day comfort. Toe corrector is sold individually. One size fits most. 50% polyester/40% latex/10% polyamide. Hand wash.
Say goodbye to short, weak, brittle nails. 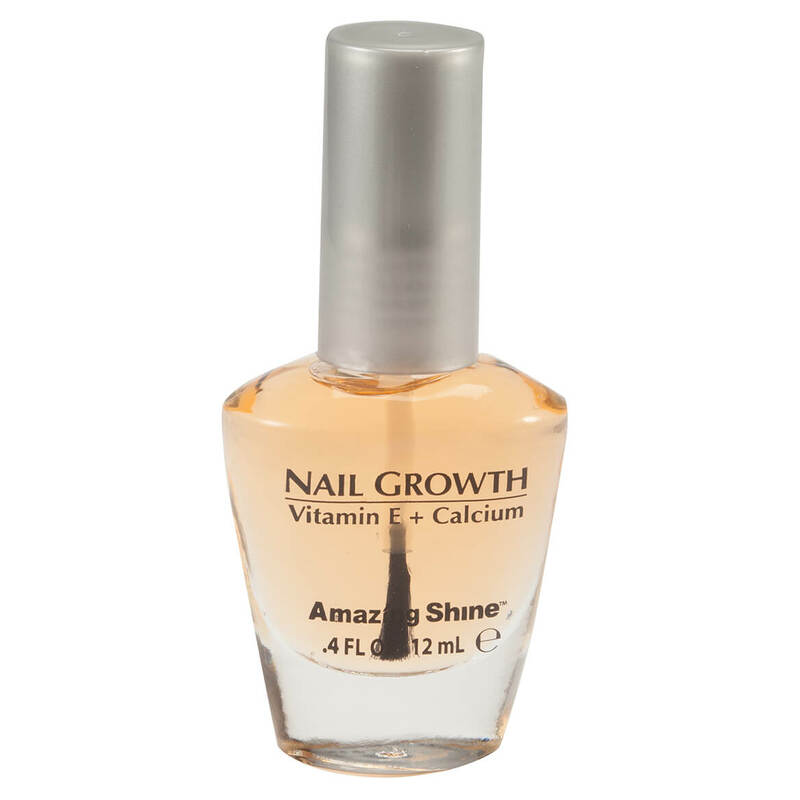 Nail Growth with Vitamin E + Calcium nail strengthener is fortified with calcium and vitamin E to encourage strong, healthy nail growth. The bioactive nail serum nourishes nails and creates a protective barrier, allowing the nail bed to grow strong and healthy. To use, shake well, apply one coat to bare nails, and allow to dry. For best results, apply two coats. Visible results in 5 to 7 days. 0.45 oz. Designed to take pressure off sore toe tips, Visco-Gel® Hammer ToeCrutch™ is specially contoured to support claw or hammer toes, elevating toe tip and relieving distal pressure. Innovative toe cushion with flat bottom helps make walking easier and more comfortable. Soft, extra-wide, Visco-Gel® toe loop protects, hydrates and helps soften toe-top corns while keeping the support comfortably in place. Simply slip toe separator over toe and position as needed—beneath toe to relieve and support hammer toes, or between toes to separate and relieve irritation. For best results, avoid shoes that interfere with toe freedom. Specify size: (small – 12.5 mm dia. ), (medium – 15 mm dia.) or (large – 20 mm dia.). Hand wash, air dry; sprinkle with talcum powder if gel becomes tacky. Set of 2. Stretch away toe pain with moisturizing Natra Cure® 5 toe gel stretchers. Place these ergonomic toe spacers beneath and between toes for spa-like relaxation therapy at home. Whether you wear them for minutes or hours, the curved posts provide the perfect amount of stretch to help release tension and realign toes, as the dots massage away sore feet and help boost circulation. Soft, flexible gel toe separators are enriched with seven botanical oils and aloe vera to keep skin between toes hydrated and healthy. Diabetic-friendly design is hypoallergenic and dermatologist-tested. Gel contains mineral, avocado, olive, jojoba, grape seed, canola and soybean oils, as well as ceramides, green tea and willow. Includes 1 pair of washable, reusable toe stretchers. Specify size: small/medium (fits women’s shoe sizes 5–9) or large/XL (fits 9 1/2+). Hand wash; air dry. Do not place on open wound. Keep away from children and pets. Designed to gently separate and align toes that rub or overlap, the Visco-Gel® Little ToeBuddy® toe separator helps relieve or prevent painful irritation between smaller toes. Dual-loop design helps keep these toe spacers in position, and they’re thin enough to wear discreetly with most footwear. In washable, reusable silicone gel. Set includes 2; interchangeable for right or left foot. Keratin buildup can cause unsightly yellowing and thickening of fingernails and toenails. 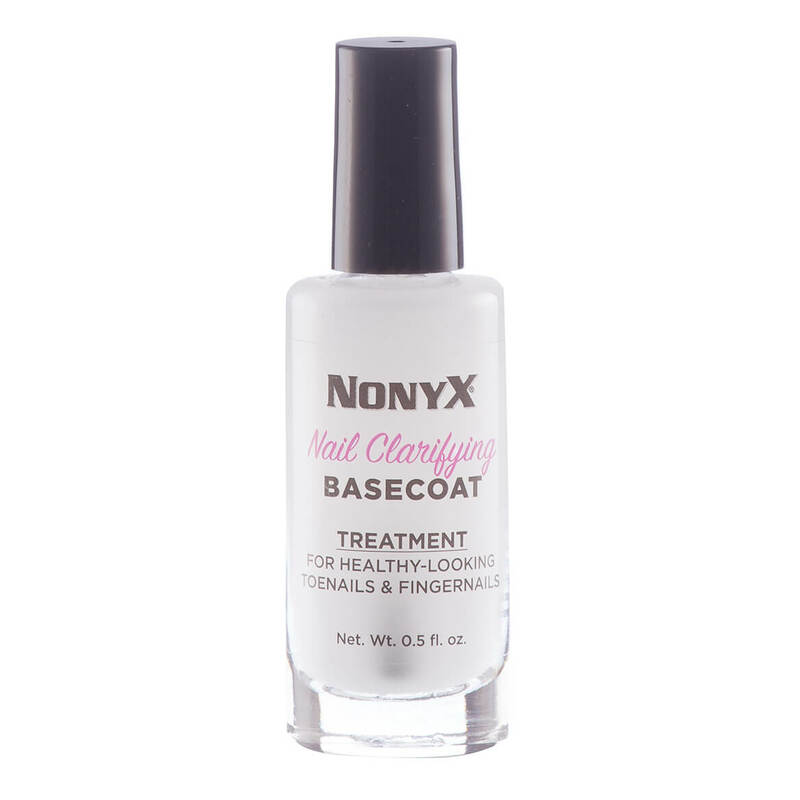 This Nonyx® Nail Clarifying Treatment formula works to get rid of the excess keratin and restore beautiful nails. Effective on its own or as a base coat under regular nail polish, just reapply the thick toenail treatment when you change your nail color. Suitable for men and women. Safe for diabetics. To use, apply to clean, bare nails and let dry. Apply nail polish if desired. Reapply every 1-2 weeks. After 3-6 weeks, begin removing softened keratin debris, and continue for 3-9 months or until nails are clear. Made in the USA. 0.5 fl. oz. Visco-GEL® Stay-Put Toe Spacers™ cushion and protect your toe with the added stability of a loop. Unlike most spacers, this one features a versatile gel loop that can be worn on the big or second toe for a secure fit as it protects against pressure and friction. As it separates and aligns crooked or overlapping toes, this toe spacer helps relieve pain and prevents bunions and irritation. Soft, flexible Visco-Gel releases mineral oil to soothe and moisturize skin. Fits either right or left foot and can be worn with shoes that don’t limit toe movement. Sold individually in 2 sizes: medium (1.5 cm dia. opening, 2.5 cm L x 2.9 cm W x 2.6 cm H) or large (1.6 cm dia. opening, 2.8 cm L x 2.8 cm W x 3 cm H). Hand wash; air dry. Do not place toe spreader on open wound. If you have diabetes or poor circulation, consult your doctor before use. Keep away from children and pets. 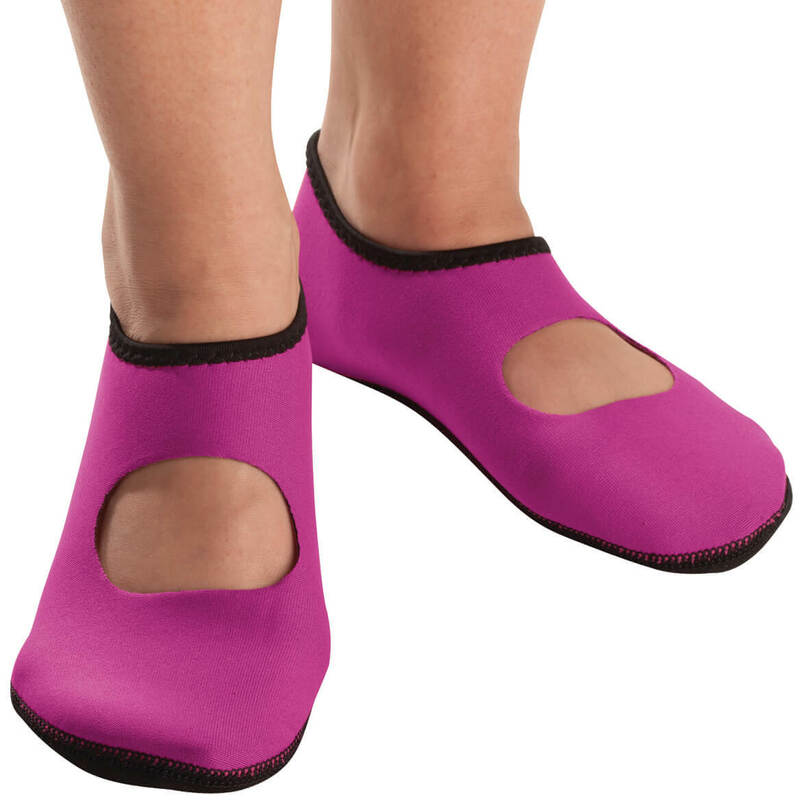 NuFoot Neoprene Mary Jane shoes are barefoot comfort in a non-skid, water resistant shoe. NuFoot shoes have flexible, breathable neoprene that stretches up to 3 sizes for shoes like barefeet. Ideal for home, travel, resorts, spas and more. Machine wash. Neoprene shoes are available in fuchsia, blue, black and crimson. Specify size: medium (fits women’s shoe sizes 6-7) or large (fits women’s shoe sizes 7-10). A simple fix for crooked, overlapping toes causing pain, blisters and corns—Visco-Gel® ToeBuddy® toe spacers loop around both “opposing parties”, easing pressure and cushioning sensitive skin so both sides win. Recommended by doctors to gently realign and straighten toes for instant relief, the soft double-loop toe separator protects toes and supports correct position, discreetly fitting most footwear for all-day comfort. The washable, reusable silicone gel toe spacers work effectively for months. Set includes 2; each interchangeable for right or left foot.